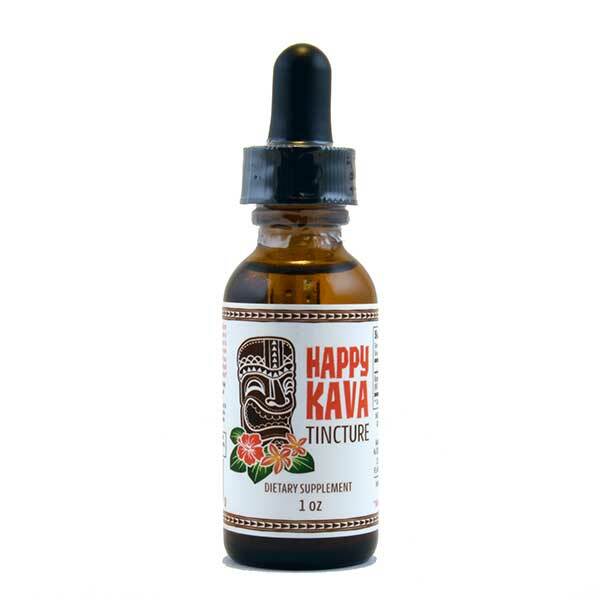 Our Happy Kava Brand Tincture provides all the stress fighting benefits that you expect from kava in a fast-acting tincture. Perfect for people on the go, and just 1-2 dropperfuls is all you need to enjoy the amazing benefits of kava kava. Happy is exactly how you’ll feel after trying our Happy Kava Brand Kava Tincture for the first time. That’s because these tinctures are rich in the highly desirable Kavalactone Kavain. Kavain tends to produce feelings of general well-being without making you drowsy and this means that Happy Kava Tinctures are perfect for consumption anytime throughout the day. 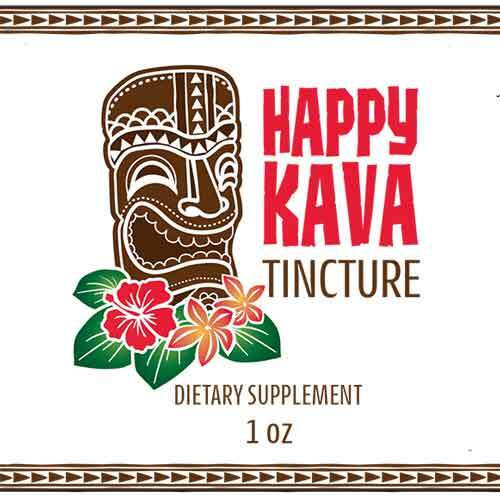 * Each Happy Kava Tincture contains 6% Kavalactone extract and comes with a precision dropper cap so that you can measure out consistent doses every time. This organic full spectrum extract is crafted from the highest quality farmed or sustainably harvested Kava root in pure grain alcohol. Full spectrum extracts. Hand-crafted in small batches. Infused with pure passion. Directions: Shake well! Take 40 drops per serving, up to twice daily. Do not exceed recommended dosage. Maximum period of daily use: 3 months. Use may resume for 3 months after a 2-week break. *These statements have not been evaluated by the Food and Drug Administration. 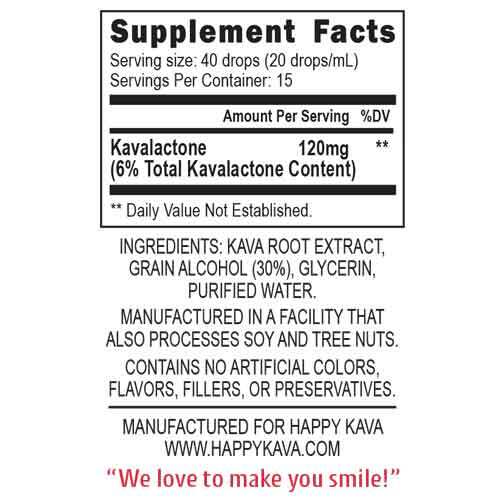 This Happy Kava Brand Kava Tincture Blend is not intended to cure, treat, diagnose, or prevent any disease.